H2O Contractors Ltd are the preferred provider of drain clearing services to Wellington’s best plumbers and drainlayers due to our experience and extensive range of hydrojetting equipment. Our trucks have high pressure jetting capabilities, long range and a large variety of attachments that can clean, cut and saw obstructions from pipes. Hydrojetters are extremely efficient and provide many advantages over mechanical cleaning methods such as rodding, plunging and augering. This is especially so where fat, sediment, by products or sewage have solidified in a line. Some of our jetting trucks are designed to allow access to narrow accessways and car parking buildings. They also carry their own water tanks, road safety signage and GPS monitoring systems. Root blockages, mechanical auger with a range of cutting and screw heads.When used in conjunction with a CCTV inspection insure the drain is clear of roots. Most common sources of sewer blockage issues include fat, roots, dipped pipes and breaks due to subsidence or exterior factors. 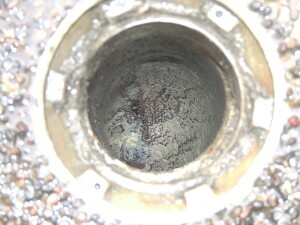 The list of possible causes is large and drains can have several issues working in combination. Overflows can be a problem to clean up and we generally use biodegradable anticeptic/reodorising agents wherever possible. We can supply wet vacuum units, submersible pumps and fans.